Tips for Checking Your Home Insurance Coverage | The Voss Law Firm, P.C. Have You Checked Up on Your Homeowners Insurance Recently? Look for gaps in your coverage. If don’t already, you should consider taking a look at your insurance coverage each year and looking for any gaps. Insurance policies may cover some severe weather conditions, but not others—and it depends on your location and specific policy. For example, general homeowners insurance usually doesn’t cover flood damage, but it may cover some other types of water damage. A really common issue for homeowners in hurricane-prone areas is the non-coverage of storm surge damage, which direct damage from high winds is covered. It can be confusing, so make sure you know how your coverage works before you need to file a claim. Make sure you have the right coverage for unexpected weather. While homeowners near coastlines and in low-lying areas may know that flood insurance is an important protection, it can be more difficult for residents in areas where floods or other severe weather events are less common. 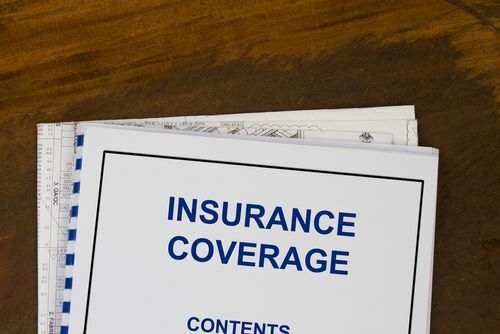 Even if your area isn’t typically hit by floods or hurricanes, it may be worth looking into these coverages just in case an unexpected storm hits. Make sure your coverage is appropriate for your home’s current value. Over time, changes to your home and property can have an impact on its value—and the kind of insurance coverage you need. You should periodically take a look at your homeowners insurance and make sure that it is in line with your home’s current value and any renovations, additions, or improvements you have made. Check your deductibles. Depending on how your homeowners insurance works, you may have different deductibles for different types of damage. For example, there may be a difference in the deductibles for losses due to hurricane and those due to wind. Make sure you’re prepared and avoid any surprises about what goes toward your deductibles. While you’re getting educated about your current insurance coverage, you might also take a moment to read up about your rights as a policyholder, too. If you are concerned about filing insurance claims for this year’s severe storms, you can request a copy of our informative book, Your Essential Guide to Residential Claims, which will help you understand what to expect from a claim and what to do when you believe it has been unfairly denied or underpaid. Do Not Let the Insurance Company Underpay Your Claims!